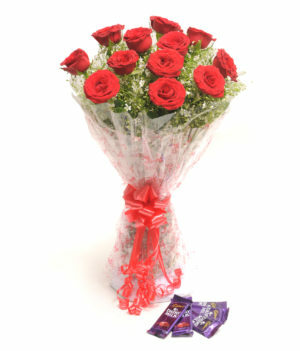 Send 2 cadbury dairy milk silk 60gm, cream jute wrapping, pink raffia 12 purple orchids at WishByGift. 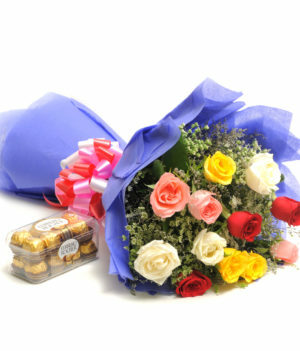 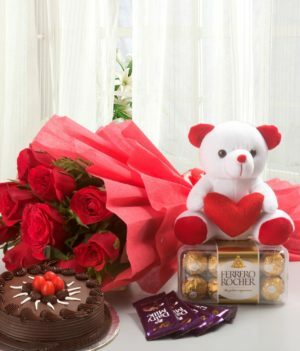 Flowers and chocolates work best in the matter of special occasions. 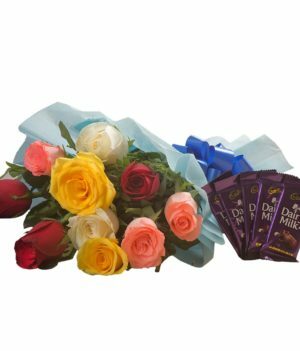 If you want to celebrate your special days with a tinge of happiness, gift this combo of purple orchids and Cadbury chocolates to someone you really adore. 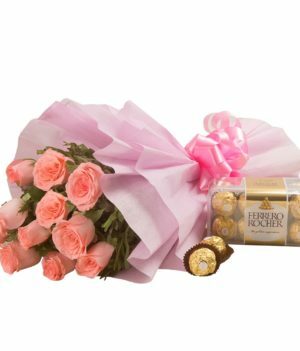 This combo by wishbygift.com contains 2 Cadbury milk silk chocolates and mesmerizing purple orchids wrapped up in cream jute wrapping, complemented with pink raffia.